BALTIMORE, MD–(Technically Media Inc. – August 23, 2016) – The story of Baltimore’s economy often flows from the manufacturing might that powered the past to the brain power that may drive its future. But there are signs that both remain in play, even in the city’s industrial heart near the border of the city and Dundalk. That’s where Pixelligent creates nanocrystal additives that improve products like overhead lighting and electronic devices. The company’s roots lie in the education and government realms that are so important to the state’s knowledge economy, with the company being founded out of the University of Maryland College Park’s labs and incubators, and the development of materials supported (and funded) by the government’s heady efforts to realize the promise of nanotech. Big companies are paying attention to the (very) tiny particles, Bandes said. With capital from a $10.4 million Series C round that closed on Aug. 15, Pixelligent is looking to add to its staff of around 50 employees and ramp up manufacturing. At the same time, it is expanding its presence in Asia where many of the advanced material companies it does business with are based. “We feel like we crossed over that tipping point in terms of customers buying into the value that our materials can deliver,” Bandes said during a follow-up last week. The company has now raised more than $36 million in equity funding, and received $12 million in government grants. Bandes said the first round was the hardest. The company was founded in 2000 at the University of Maryland College Park by current CTO Gregory Cooper, shortly after he received his Ph.D. Current VP of Product Development Serpil Gonen Williams and VP of Engineering Zhiyun Chen were also early employees. 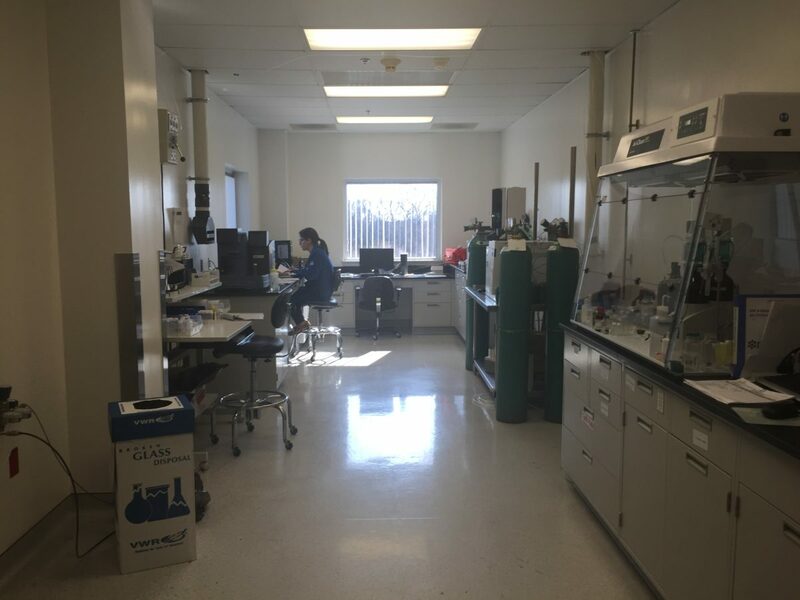 At first, the company planned on developing composites for the semiconductor market. It grew in the university’s incubator, and inked a deal with a larger partner. But the company struggled in its relationship with the partner and in raising money. In 2007, it filed for Chapter 11 bankruptcy. Bandes, who led homeland-security company Globally Secure from startup to IPO and cofounded Focus Technology Consulting, came on the next year to lead the restructuring. He was able to raise a round of financing, which he said closed on the same day as a bankruptcy court hearing. But by 2010, the company had an $8.2 million contract from the National Institute of Standards and Technology, and a handful of other federal grants. The next year, the company moved to the former home of Guilford Pharmaceuticals, where it is now located. “It had everything we could ever want,” Bandes said of the facility. Influential local backers such as the Abell Foundation and Baltimore Development Corp. also participated in a $5.1 million equity round, taking note of the company’s intentions to create a new variety of manufacturing jobs in the city. More equity rounds and grants followed. With fresh resources and a new home, the company decided to turn its focus to a new market: LED lighting. Nanocrystals dispersed in the silicon that coats LED lights can make the lights shine brighter and, in turn, increase energy efficiency. But nanocrystals produced by others in the past didn’t catch on because they either clumped together, or caused cloudiness. Pixelligent, however, says it is the first to develop a way to create particles of Zirconium Oxide with heat and pressure. They measure about five nanometers (a nanometer is a billionth of a meter) and are evenly dispersed in the silicon. In terms visible to our eyes, it means the light isn’t impeded. The initial product line launched in 2013. Since then, PixClear products followed for the flat-paneled OLED lighting, where nanocrystals can double the light output. Electronic devices are another big area for OLED. The technology is starting to emerge in TVs. They are said to offer superior contrast to LCD and plasma TVs since the light comes straight from the pixels themselves. Indications that Apple could use OLED displays on future mobile devices like the iPad could be especially important for the company, Bandes said. The materials have a wide variety of potential uses, and Bandes said there are potential opportunities in as many as 12 other markets, ranging from AR/VR to optically clear adhesives. “The mentality of manufacturing has been in the DNA here before we even knew what the first product was, and that has been so incredibly important,” Bandes said. 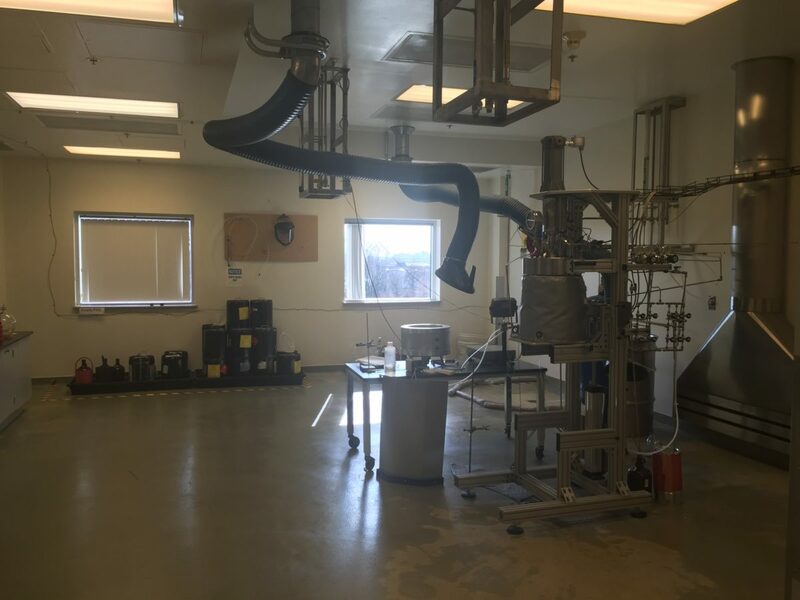 As they went from producing the materials in a crockpot-sized reactor to a five-gallon setup, Bandes said they found they had a “robust material.” But they found companies also needed to be shown how to apply it during their own processes, so they created an applications development lab. In scaling up further to 30 gallons, they found the whole manufacturing process benefitted from being controlled by computer. Recently, the company added outsourced manufacturing at a facility in Pennsylvania, and expects to add products in other market verticals by the end of 2016. In Baltimore, the influential backers have remained interested. The Abell Foundation led the latest Series C round. The Bunting Family Office and former T. Rowe Price Chief Investment Officer David Testa also participated. As it has grown operations stateside, the company has also bolstered its presence in Asia — where the customers are. Bandes said about 75 percent of the company’s client activity is in China, Taiwan, South Korea and Japan. The company is getting an office up and running in Taipei, Taiwan. “They have a product that is not replicated anywhere in the world, right here in Baltimore city,” said Eileen O’Rourke, the Abell Foundation treasurer who also sits on Pixelligent’s board.